This is a great idea. 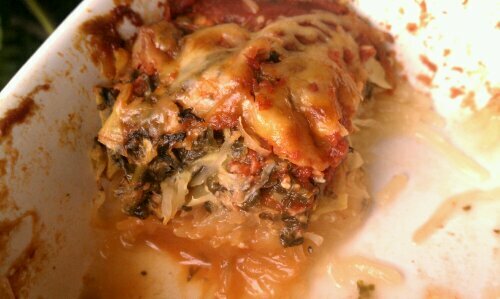 I love spaghetti squash and use to take it to potlucks all the time. 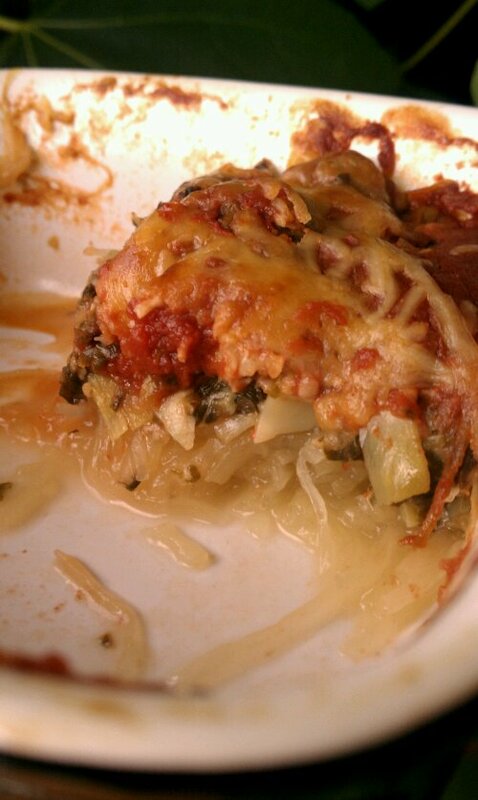 I had like “the year of spaghetti squash”. I cut it in half, scooped it out and baked it with olive oil, rosemary and salt and pepper. 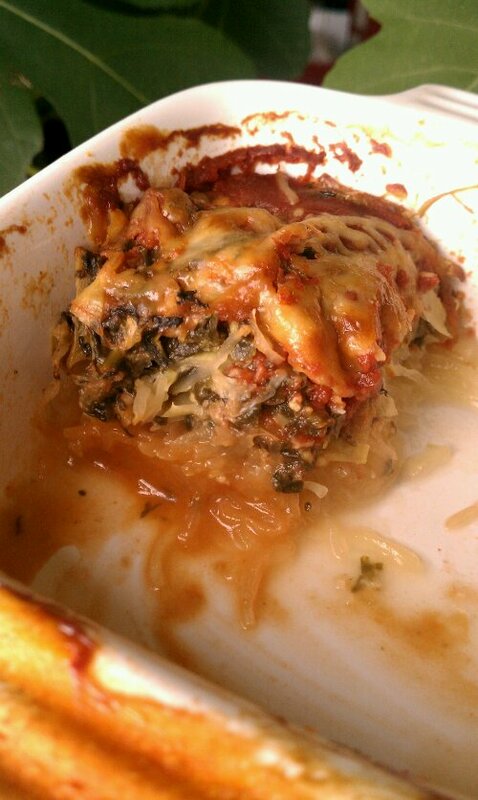 But I never thought do a “lasagne” with it. Clever. Hey Lady! Awesome job! Have any good yellow squash recipes? Something different? I am swimming in squash…planted 3 kinds this year. Hugs! 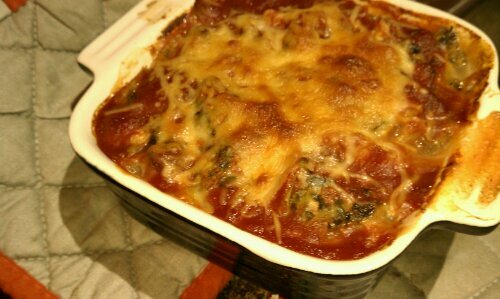 and the Grain Free Lasagne http://wp.me/p1SLLp-6L, also look up the Zucchini Griddle Cakes! This looks great – I found your post by googling “Spaghetti Squash leftovers” and will definitely try this with the squash in my fridge. Thanks! Hi! Thanks for stopping by! Isn’t it true that you just can’t have enough ‘leftover recipes’? I for one can always use another one. And do let me know how you like it, when you get a chance.